It was the capital of Satavahanas, the first great Andhra kings who ruled from the 2nd century BCE to the 3rd century CE, after the downfall of Maurya empire. After the decline of Satavahanas, Andhra Ikshvakus and later Pallava kings ruled Krishna river valley. Subsequently, Eastern Chalukyas and Telugu Cholas held sway over the region. Kota Kings were in control of Amaravati during the medieval times. Kota kings were subdued by Kakatiyas in 11th century CE and Amaravati became part of the unified Telugu empire. After the declaration of Hyderabad as the capital of former Andhra Pradesh, the Guntur and Krishna region had been neglected for several decades. With the bifucation of united Andhra Pradesh state as Telangana and Andhra Pradesh (residual state of AP), the andhrites started looking for a new capital as the existing capital Hyderabad had been made the capital city of Telangana. This inevitably driven the government to the cradle of AP, i.e. Guntur – Krishna region, which also happens to be centrally located in residual state of AP. 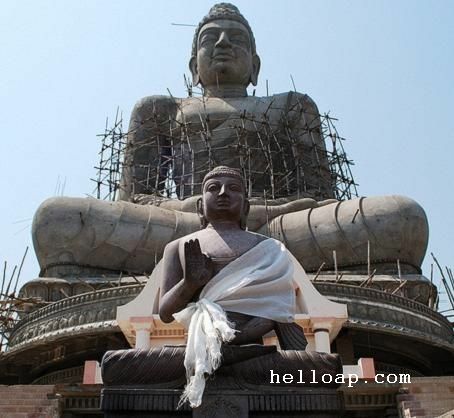 Considering that Amaravathi had been the capital of Satavahana kings, and the spiritual importance associated with the region, the government aptly named the new capical city of residual state of AP as Amaravathi. This should not be mistaken with the Amaravathi town that is closely situated to the capital Amaravathi. Over a period of time, the town is likely to become part of Andhra capital due to close proximity. The capital city will be situated on the banks of river Krishna combining the districts of Guntur and Krishna. 1) Cities comes under Capital region: Vijayawada, Mangalagiri, Guntur, Tenali, Sattenapalli, Nandigama, Nuzvidu, Gudivada and Gannavaram. 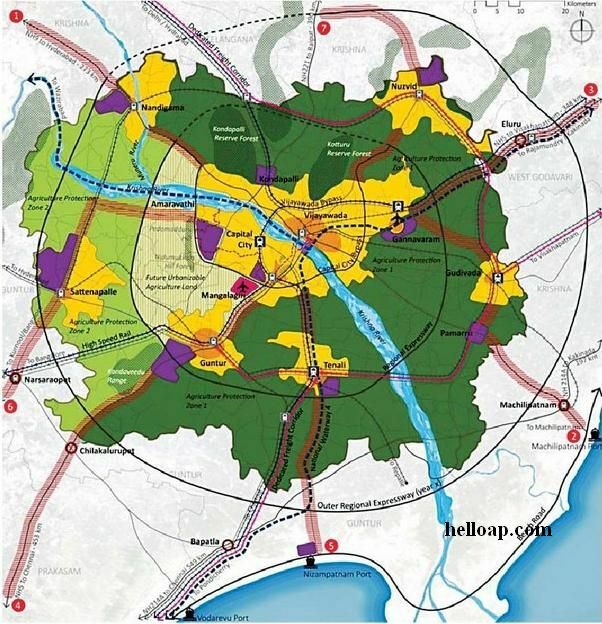 2) Proposed Urban Regions: Vijayawada, Mangalagiri, Gannavaram regions comes under capital core region. The region will be extended with the areas Sattenapalli, Nandigama, Nuzvidu, Gudivada, and Tenali. 3) Proposed Industrial Corridors / Regions: Sattenapalli, Nandigama, Guntur – Yadlapadu, Pamarru, Tenali, Ganavaram, Kondapalli, Nuzividu, Mangalagiri, Amaravathi along with Nizampatnam and Vadarevu ports. Growth Corridors: Following are the growth corridors in the proposed capital city master draft plan – I. Airport is also proposed at Mangalagiri.